Mauricio Roberto Pochettino Trossero (Spanish pronunciation: , Italian: ; born 2 March 1972) is an Argentine former footballer who played as a centre back, and is the manager of Premier League club Tottenham Hotspur. He spent 17 years as a professional player, ten of which were in La Liga with Espanyol where he scored 13 goals in 275 games and won two Copa del Rey trophies. He also played in France for two clubs, Paris Saint-Germain and Bordeaux, having started his career with Newell's Old Boys. An Argentina international for three years, he represented the country at the 2002 World Cup and the 1999 Copa América. Pochettino began his managerial career at Espanyol in January 2009, remaining in the post for nearly four years. He then managed in the Premier League, first with Southampton, followed by Tottenham Hotspur which he led to top-three finishes in three of his first four seasons. Where did I get the idea we had to (press)? It's about your personality, who you are. You show on the pitch who you are. If you are brave in your life, you cannot behave in a different way on the pitch. I don't understand how to play in a different way. Always, be brave. I like to be brave. – Pochettino on his coaching philosophy. Pochettino favours a very high-pressing, attacking style of football. He often employs a 4–2–3–1 formation at the clubs he manages. While doing so, he instructs his team to build from the back, intimidate and unsettle opponents with a quick-press system and work the ball into the box. 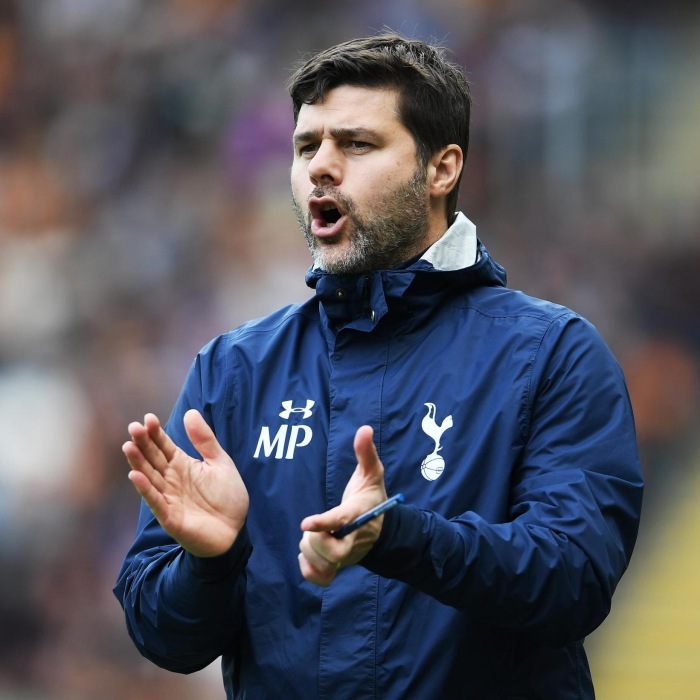 Pochettino is hailed by many pundits for his focus on developing local players from the clubs' youth academies, get local government and references' support, and a willingness to promote young players in general. It was also noted that many young players under his tutelage went on to play for the English national team, while the manager himself felt that it was his duty to develop English talent, saying "I feel when I arrived in Spain and now in England in which way can we say 'thank you' to the country that opened the door when I didn't speak English. And how people treated me and my family and my staff which was really well. It's a way to say thank you to the Premier League and the people who trust in you". Players coached by Pochettino also praised his man-management approach and guidance with his willingness to advise, encouraging the players to take charge of their own development as well as helping them to improve physically, technically and mentally. Pochettino's son, Maurizio, was granted a contract with Tottenham's development squad, and scored his first goal for the under-18 side against Norwich City in October 2018. In early December, he made his debut for the under-23s against Wolfsburg. Pochettino believes in "energía universal", the idea that people, places and things are charged with a hidden energy, positive or negative. "I believe in energía universal", he said. "It is connected. Nothing happens for causality. It is always a consequence . Maybe, it is one of the reasons that Harry always scores in derbies. I believe in that energy. For me, it exists".